Kindness House Field Trip Coming Soon! The Kindness/Amabilidad house won the third six weeks point competition, so they have won a field trip! Permission slips were sent home today, Friday January 11th with students in the Kindness/Amabilidad house, and are due by next Thursday, January 17th, 2019. What are Houses you might be asking yourself?! 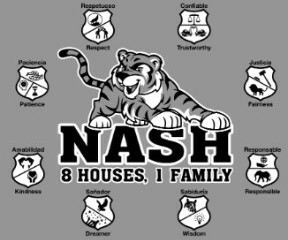 Students were separated into 8 character-based houses campus-wide in the Fall. The purpose of the house system is to build unity as well as develop strong character. Students learn a different trait each six weeks at their House Meetings and earn points for their house based on showing that trait. Way to go Kindness/Amabilidad house!